This year’s Motorcycle Live closed its doors last night with organisers confirming a 10% rise in attendance compared with 2013, and visitors and exhibitors alike widely declaring the show one of the best ever. Over 117,000 two-wheel enthusiasts and their families and friends flocked though the doors to see more than 250 exhibitors and 20 live features and shows, including ten opportunities to ride a bike. 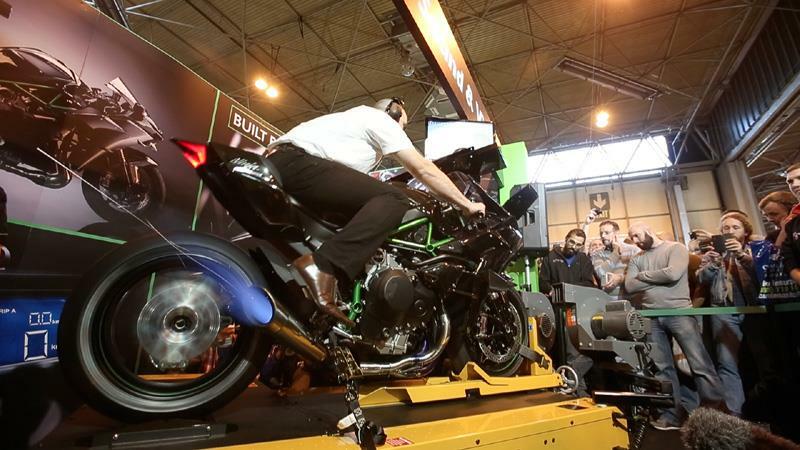 The halls resonated to the sound of regular start-ups from many manufacturers, with the 2-stroke race bikes laying a nostalgic olfactory mist across the show, while Kawasaki’s H2R dyno runs pretty much stopped the show in its tracks on every fire-up. Each day saw an influx of racing stars from MotoGP, World and British Superbikes, the Isle of Man TT and Speedway – including 2014 World Superbike Champion Sylvain Guintoli and 2014 British Superbike Champion Shane Bryne – taking part in on-stage Q&As, and signing autographs on the MCN stand. Motorcycle Live organiser, Finlay McAllan, said: "I’ve been involved in the bike show in its various guises for many years now and I can honestly say that Motorcycle Live 2014 has had a brilliant buzz about it. "So many of the exhibitors have gone the extra mile to provide a truly interactive experience and, of course, there’s an abundance of exciting new motorcycles on display. I want to thank everyone involved for making this year’s show such a fantastic one. Roll on 2015!" The dates have already been set for Motorcycle Live 2015, so stick a note in your diary for 21-29 November next year.